To do the Side Plank Clam, set up on your side propped up on your forearm with your elbow underneath your shoulder. Bend your knees so that your feet and lower legs are behind you. You can place your top hand on your hip or reach it up toward the ceiling, but don’t touch it down to the ground or use it to help you balance or press up. Propped up on your elbow with your knees stacked, lift your bottom hip up off the ground, driving through your knee and forearm. As you bridge your hips up, lift your top leg up and toward the ceiling, keeping the knee bent. 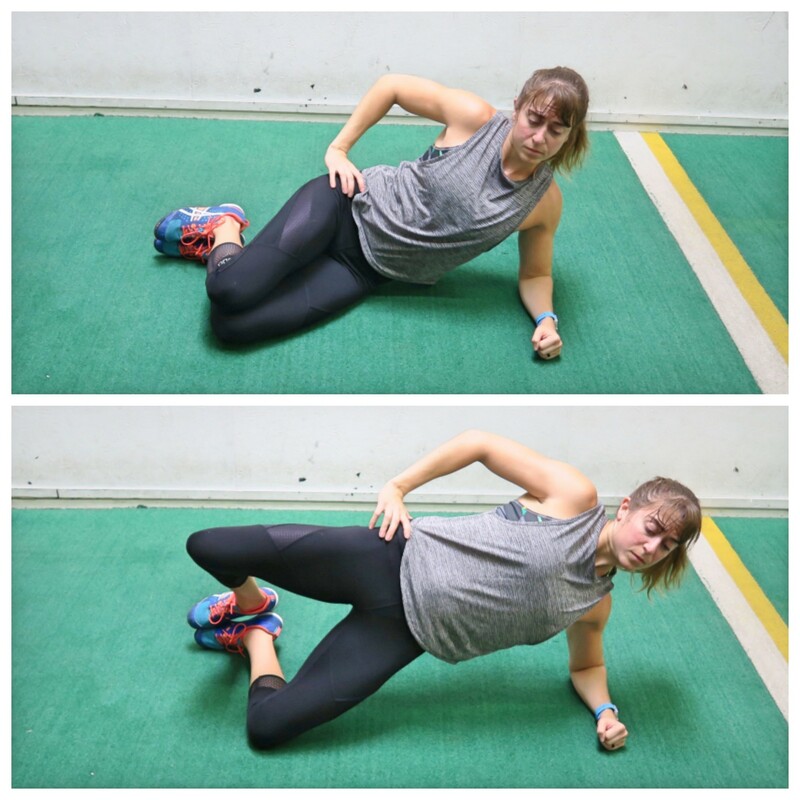 Open up your legs, lifting your top knee toward the ceiling using your glute. Make sure to squeeze your glutes forward as you lift. As you lower the leg back down, lower your hip back down to the ground. Repeat, bridging up as you raise your top knee up toward the ceiling. Complete all reps on one side before switching. Also keep your elbow under your shoulder and do not get too spread out. Really focus on bridging and lifting with your glute and obliques. You can also make this move more challenging by completely lifting the top leg and even the foot if you would like.